BSQUARE announced the DragonBoard a development board built around Qualcomm APQ8060 mainly targeted at Android 2.3 development. BSQUARE Corporation, a leading enabler of smart, connected devices, today announced general availability of DragonBoard™, an Android™ development platform based on Qualcomm Incorporated’s Snapdragon™ APQ8060 processor. DragonBoard provides device makers, application developers and other hardware and software ecosystem suppliers with early access to the APQ8060 processor in a flexible development environment. DragonBoard is a powerful, feature-rich development board that offers exposed connectors, adapters and expansion headers including JTAG, Ethernet and mini USB. These features provide deep levels of development, testing and expansion that allow OEMs to do early prototyping of APQ8060 based systems, component suppliers to integrate devices with the APQ8060 processor and Android application developers to create innovative applications for the growing open source development community. When combined with BSQUARE products and services, DragonBoard enables developers to get products to market faster and with less risk. I could not find any community site working on the platform, nor freely available software and/or hardware resources. BSQUARE demonstrated DragonBoard at ESC Boston on September 27-28, 2011 at Qualcomm Booth. 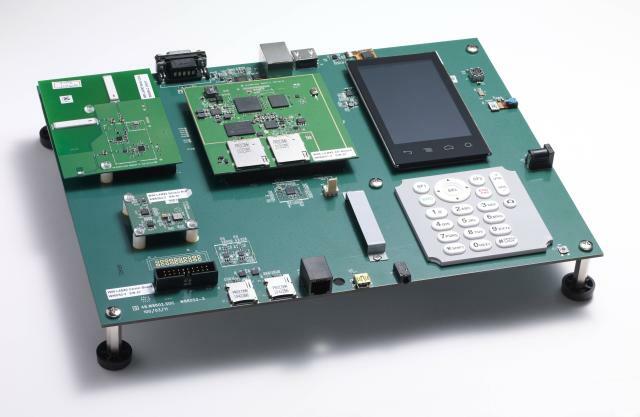 For those interested in further information, BSQUARE will also be hosting an informational Webinar, “Introduction to the Snapdragon APQ8060-based DragonBoard” on the 13th of October 2011. You can register for the Webinar at bsquare.com/events.You can also visit BSQUARE DragonBoard page.